Exercise is . . . Exercise is . . .HARD!! I’ll be honest, I was one of the last kids to complete themile in high school. I walked when Icould and only ran when forced. I came up with every excuse possible to get outof even changing for gym, let alone participating. If you would have told me thatyears later, I’d be running by my own choice, I would have laughed at you. Well, here I am, years later and trying to run. I believe that, as unpredictable as CF is, wedo have some control over the disease. I’mnot saying that if you are 100% compliant with treatments and you exercise everyday, you will live to be 110, but I surely don’t think compliance andtreatments can do any harm. In fact,I think it is one of the few ways we do have some control over our disease. Exercise, as much as I hate doing it, makes me feel better. 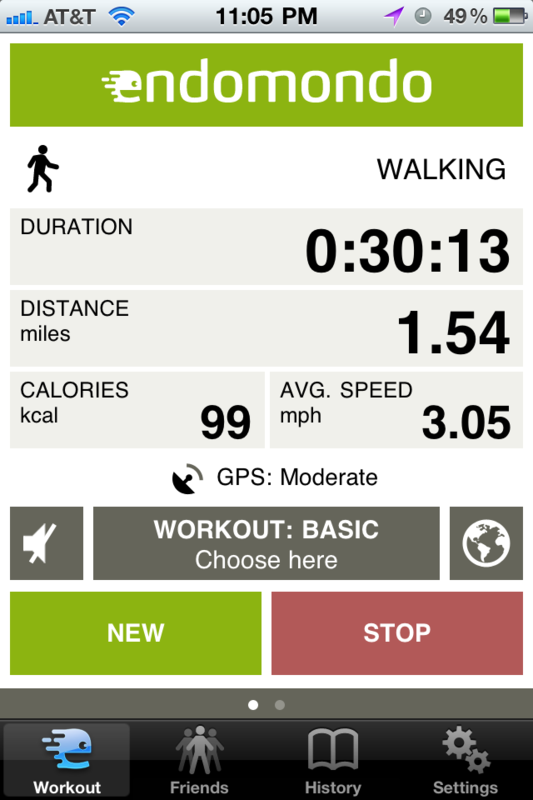 I started exercising a few months ago, using my iPhone andthe app, Couch to 5k. I am enjoying using the app, even if I can’t complete therigorous course it provides in only 9 weeks. Unfortunately, I fell behind aftergetting sick and gave up on it altogether. It’s hard for me to find motivation to keep doing it because I truly hate it that much. However, If there are any ways I have control over myPFTs and how my lungs feel, exercise and treatments are it. I would love to see my PFTs increase, and I will work my tush off to make sure they stay high. So, I’m jogging/powerwalking (continuingthe Couch to 5K app) and this time I’m doing it with my best friend which means it keeps me on track and helps me not to focus on how hard it is to breathe or how much my legs are burning. It’s still difficult though and I still despise actuallyrunning. I’m looking forward to the daywhere I wake up everyday wanting to run – I just don’t know if it will ever happen. However, after today’s 1.5 mile walk/jog inthirty minutes, I felt GREAT. My lungsfelt so much larger and I coughed and coughed and coughed for hoursafterwards. I didn’t get anything up butI sure got it moving around and I’m ok with that (although, I prefer theformer, obviously). I am SO proud of this screen right now! So, here’s to my new workout program and hoping that I canstick with this one. I want to walk into my CF clinic next month and have myFEV1 higher!! If it’s not higher nextmonth, then in three months hopefully it will be where I want it. No matterwhat, exercise isn’t doing me any harm so I will keep at it as hard as I can!! ← A simple 2 day vacation?? Nice!! I never thought I would be a "runner" either, but I can't tell you how good it feels to run/jog that first mile. You'll get there, just keep pushing! Thanks Ronnie! I came down with a bad cold starting last night so I'm wondering if that was why my lungs were giving out earlier than normal yesterday. Normally, my legs give out before my lungs but yesterday was an exception. I'm SO excited to be able to run/jog that first mile..I can't even imagine how it will feel! It's crazy how you perspective changes from what you thought you'd be to where you actually end up, isn't it?